Now that we’re homeowners, we don’t want to have the house that neighbors shake their head at. 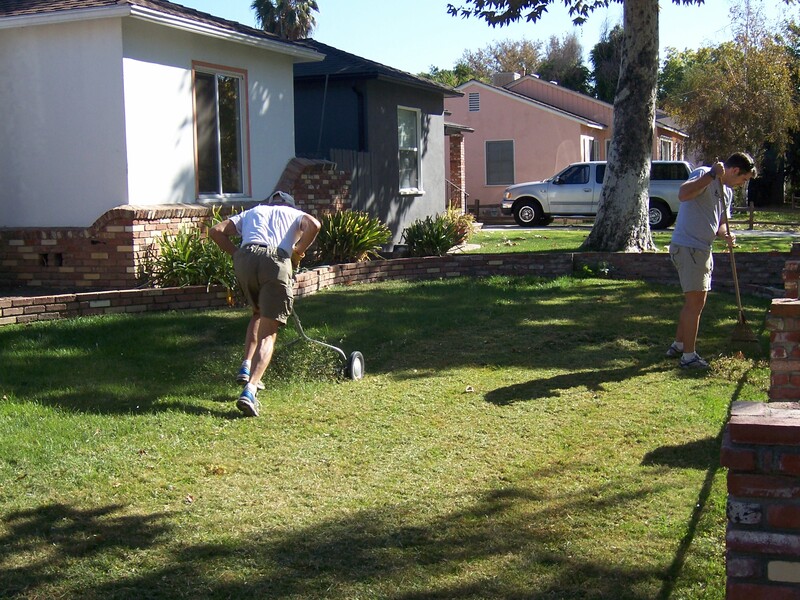 John’s father came over with a push mower and John raked up the grass. We’ve been clearing out so much yard waste that our green bin is full. Fortunately one of our neighbors has said that we can use their green bin this week, since theirs will be pretty much empty. John tells me that this is our push mower, which will save us from buying another. We will need an edger, although we’ll have to do some research to figure out what kind will best meet our needs. 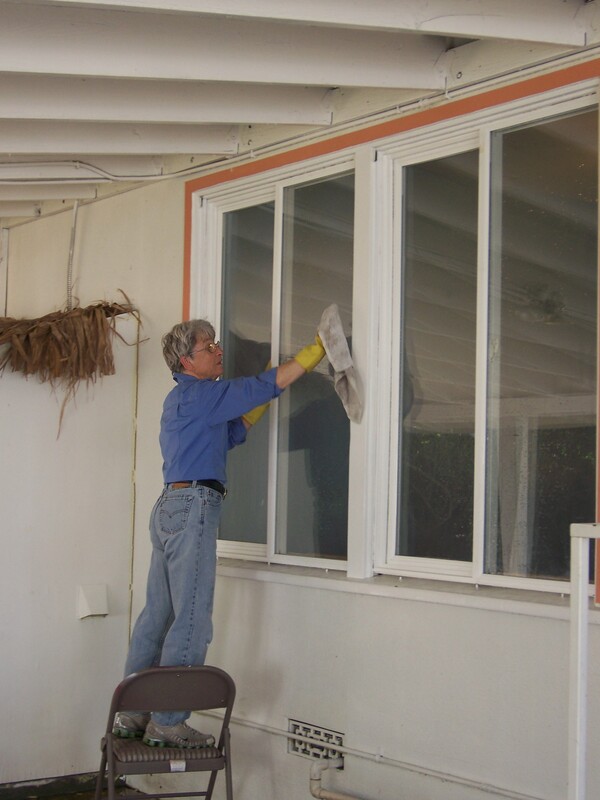 Meanwhile, John’s mother cleaned the windows. I fear they will never again be this clean.